To celebrate all that 2018 offered, we asked our newest team members to talk about their year. Learn about Alex Kizima and Colleen Dreyer. To celebrate all that 2018 offered and to look forward to the year to come, we asked our newest team members to share notable parts of their year. Get to know those who joined our team in 2018 by learning their favorite parts of the culture here in town. 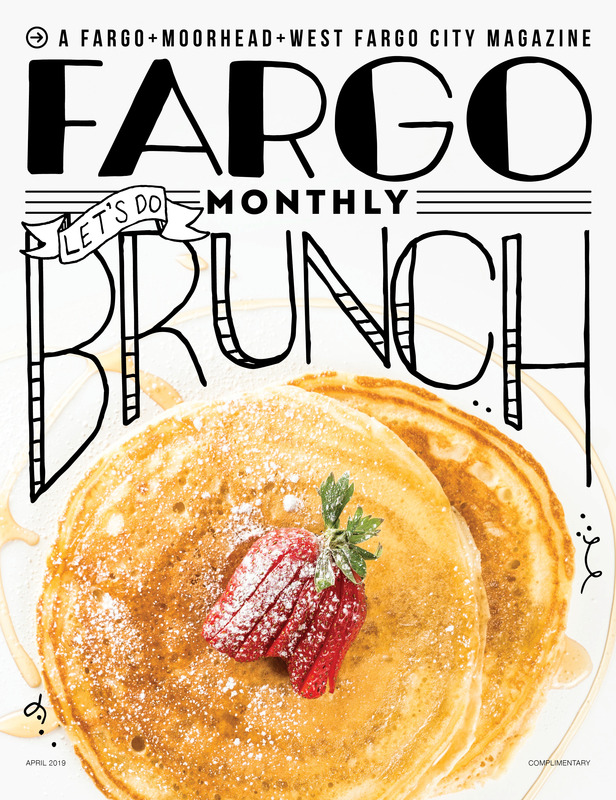 What’s a story or feature you loved in Fargo Monthly in 2018? I loved the Pet Issue this July especially because I recently adopted a dog. It was so great to have a guide to ease myself into new pet ownership. Jack, my dog, loves it because we scope out the pet-friendly places. 3. Lunch at a yummy place downtown — so many to choose from! What’s your top charity/organization in town? I just recently learned about Plants for Patients, but I am so excited about their organization. Their mission is to provide a framework for communities to support their neighbors, to sow gentle seeds of compassion into our cultural abortion conversation and to provide an alternative discourse rooted in pro-compassion humanitarianism. Each patient receives a plant with a homemade pot and handwritten note. What’s an ideal date night for you? My boyfriend and I LOVE Lucky’s 13 Pub – their Cubano and stuffed tater tots are the go-to’s. They also have such a great patio, especially on the 4th of July. This one is not fun, but if you’re going downtown take 10th ave going north all the way until NP to avoid the TRAINS. I avoid Main and Broadway at all costs. I love visiting the Hodo with my friends and significant other because the atmosphere is upscale and their signature cocktails are always delicious. When I go out for a date night, there is no better place than Mezzaluna. They always have a new, innovative menu, and their service is exceptional. What’s a fun weekend getaway you love? I love spending a long weekend at Lake Blanche. The water is crystal clear, and everyone around the lake is like family. My favorite local place to have an amazing signature cocktail is Cork and Cleaver. Their bartenders make the best French Martinis.